The Galleria is a high-end shopping area located in the Uptown Park section of Houston near the 610 West Loop and US 59 — just a short drive from Downtown Houston — between the River Oaks and Memorial areas. While The Galleria refers specifically to the large shopping center located at the heart of the neighborhood, it is commonly used to refer to the area surrounding the mall as well. While the area has built a reputation for its many fine dining and luxury shopping options, it has plenty of casual and more economical options, too. 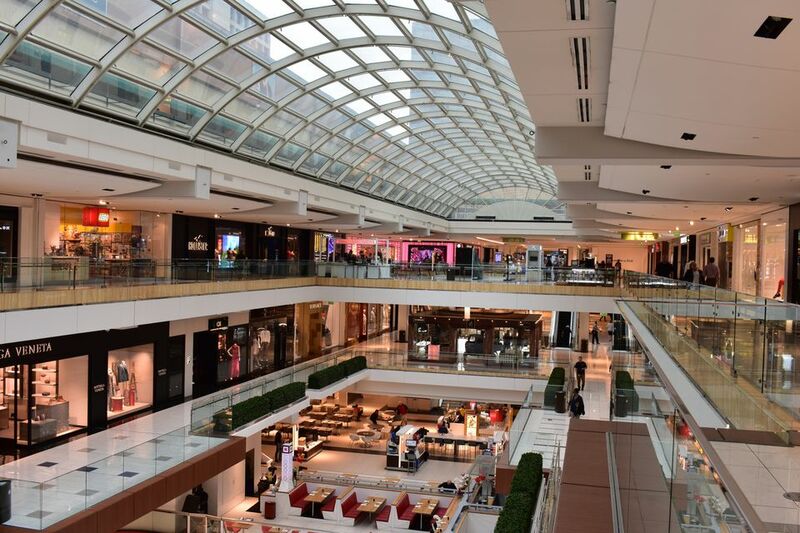 The Galleria mall is one of the most visited tourist attraction in the city, receiving more than 30 million visitors annually — and for good reason. There are roughly 400 stores inside, ranking it as one of the top ten largest malls in the nation. Since opening in 1970, the mall has expanded several times to accommodate its current selection of particularly high-end stores and restaurants. Shopping in The Galleria also has an expansive range, reaching from top shelf sellers like Gucci, Neiman Marcus and Cartier, to hipster hotspots like Urban Outfitters and Journeys. It also houses video game headquarters to computer stores to makeup stores and so on. Whatever it is you’re looking to buy, chances are you’re going to find it at The Galleria. In addition to the shopping, The Galleria also features an arcade, an ice skating rink, office towers and adjacent hotels. It also boasts roughly 50 places to eat, ranging from exclusive, fine dining options like The Oceanaire Seafood Room, to casual dining, such as The Rainforest Café. A small children's play area, referred to as the Little Galleria, is located on the second floor near the Brown parking garage. A nice perk of The Galleria is free coat and package check. Go to guest services, and they'll direct you to where you can leave your personal or purchased items while you continue your shopping or go to eat. Parking and traffic in and around The Galleria shopping center can be tricky to navigate. While peak times are rush hour and weekends, large crowds and packed parking lots can be seen any time of day throughout the week. The shopping center has six parking garages available on various sides of the center, as well as valet parking at various locations. Surrounding strip malls, restaurants and stores also have parking lots, though it's not uncommon for them to be full to the brim, with drivers circling to find a spot. The blocks nearby also have a number of great shops and restaurants, high-end hotels and luxury apartments and condos. During the day, the area is filled with shoppers and commuters, but in the evenings, the neighborhood has a bustling night scene and is known for its high-end bars and night clubs.